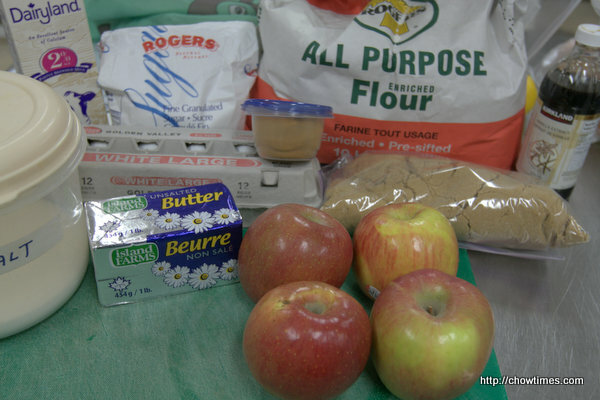 This recipe is a gift from Michelle to the South Arm Older Adults Cooking Club. It is her mom’s recipe and it’s her family tradition to make this Baked Apple Pancake on Christmas morning while the kids are busy opening their gifts. You can reduce the butter to 1/4 cup but it does change the consistency of the pancake slightly. 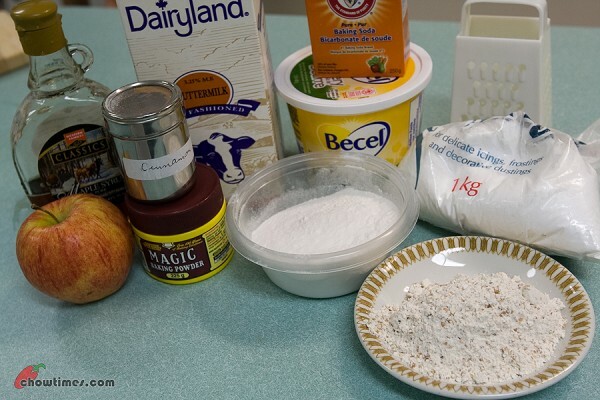 Kids love pancakes and this Multigrain Apple Cinnamon Buttermilk Pancakes make a healthy breakfast. While Lucy still have time a couple of weeks before her pharmacy course starts in the middle of March, we are fortunate to have her to show us how to make Pork Pancake. She brought some of these Pork Pancake to the Gilmore Park Church Community Kitchen for us to try and we enjoyed it very much. So, we pleaded her to show us how to make these pancakes in the South Arm Community Kitchen while she still can attend the community kitchen. 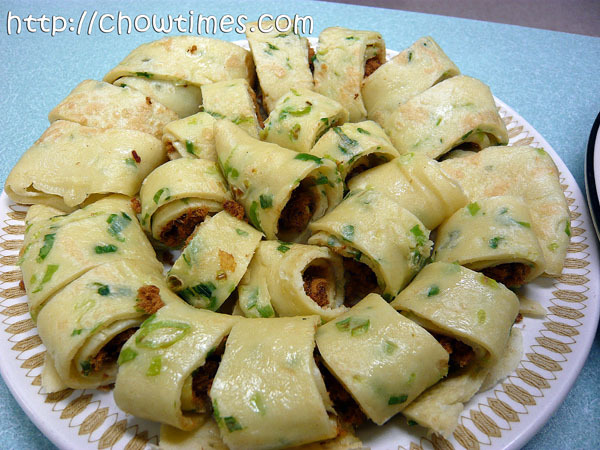 These Pork Pancakes are popular in the northern park of China. These pancakes are great for school lunch as it’s portable and filing. 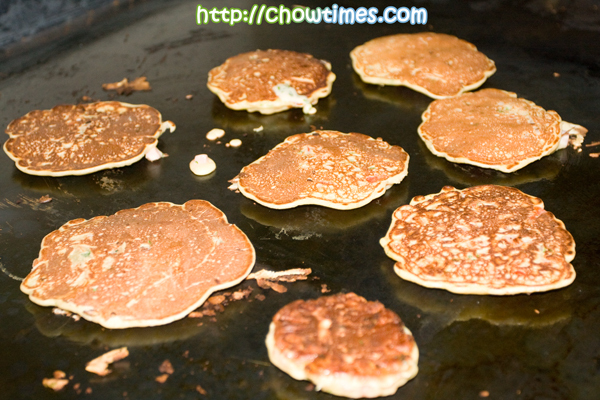 You can filled these pancakes with your choice of meat like ground chicken, ground turkey, ground beef or ground lamb. 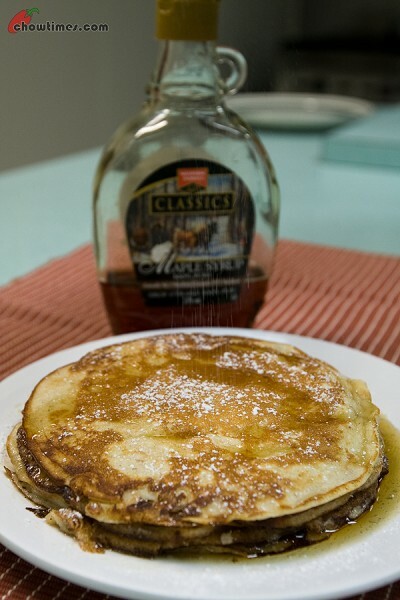 You can even make a sweet version of these pancakes with ground peanut and sugar. I will have to try the sweet version one day. 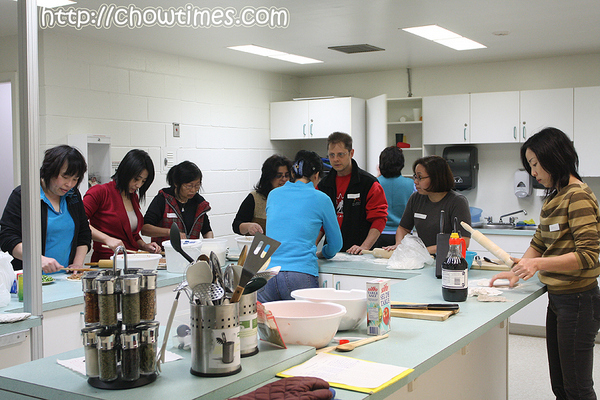 This is a great demonstration as you can see that all the participants have hands on in making their own pancakes. The next brunch item which the seniors made in the South Arm Cooking Club for seniors was Red Pepper Hot Cakes. Lorna and Christina worked on this recipe, one did the chopping and another work on the batter. They first tried to cook the hot cakes using the grill but the grill took a long to heat up. They then use a frying pan to cook up a batch while waiting for the grill to heat up. We find that the gas ovens in community kitchens (whether it’s South Arm or Gilmore Park Church) have similar problems. The oven takes a long time to heat up and they are usually not as hot as the temperature indicated on the gauge. We usually have to turn up the temperature more than the recipe requires. Well, it’s always handy to have an oven thermometer to make sure you have the right temperature. 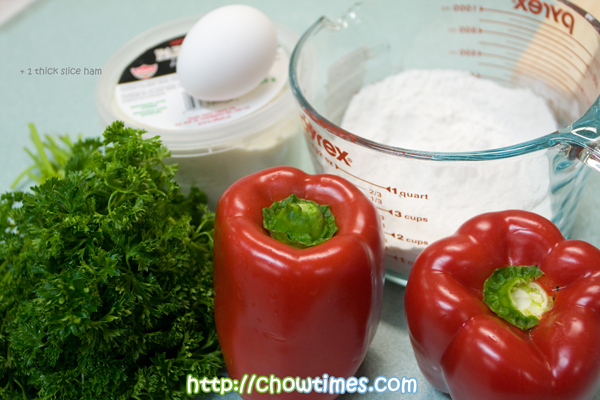 This Red Pepper Hot Cakes recipe is adapted from Good Cooking by Jill Dupleix and this recipe serves 4. 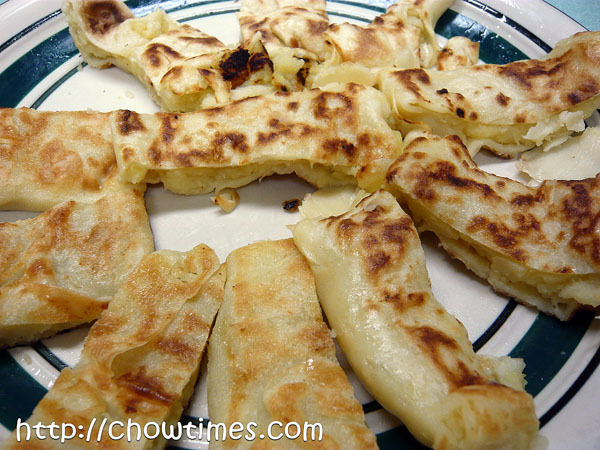 It’s a great recipe for kids who do not like vegetables but most kids will love pancake. 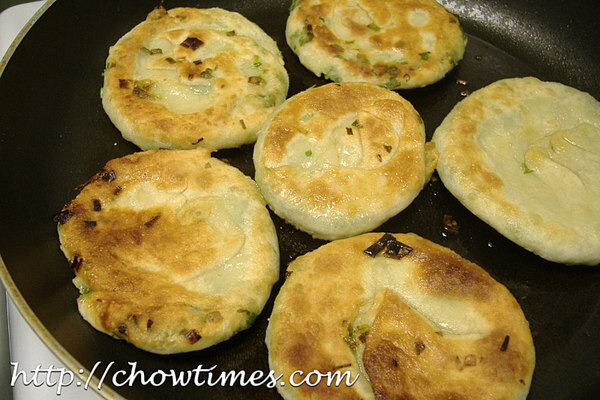 This hot cakes will be excellent with some sweet chili sauce for Asian flavours or served with a dollop of sour cream. 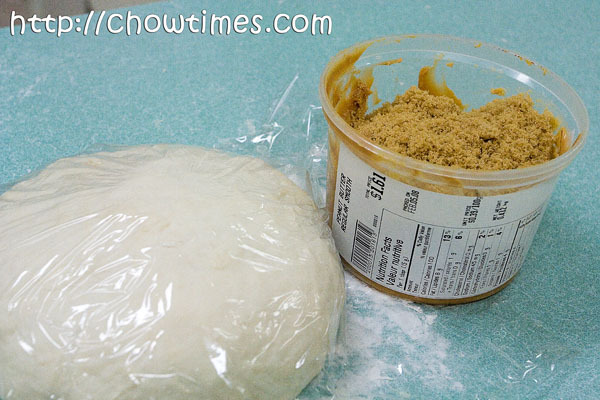 With the remainder of the dough, Ming made some Sweet Peanut Butter Pancake. This will be a hit with kids who like peanut butter. The Sweet Peanut Butter Pancake is nutty and sweet, my kind of dessert. 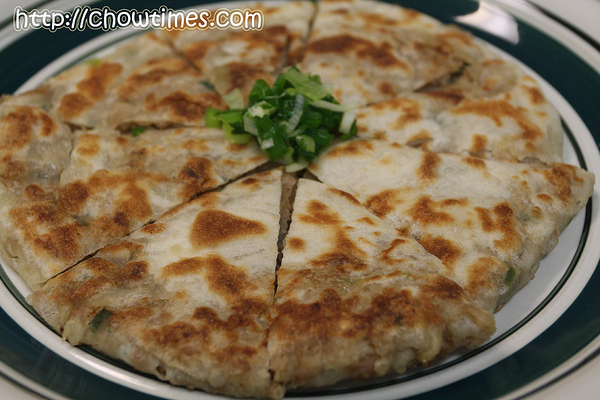 I had blogged about Green Onion Pancake before. But unfortunately for that time, the photos were a disaster. 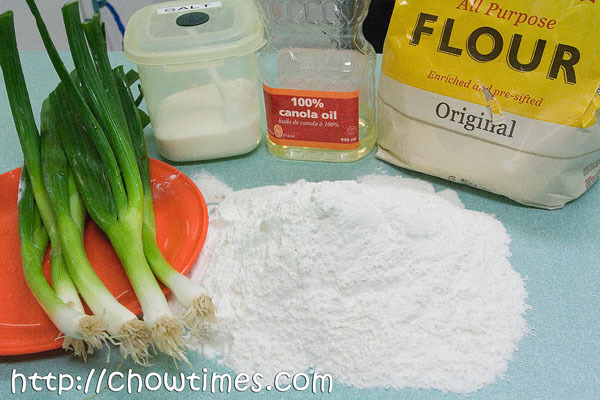 I’m glad that Ming is making Green Onion Pancake in the South Arm Community Kitchen. This time I made sure I had right camera with me. Even though Ming’s method is slightly different, the end result is still the same. 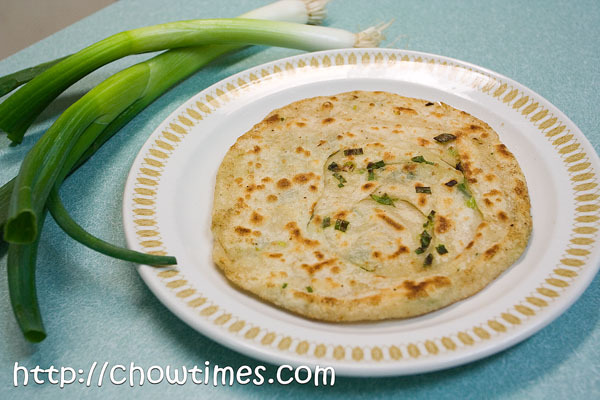 The Green Onion Pancake is crispy and fragrant. Nanzaro simply loves this. He just gobbled down the piece I took home from the community kitchen. 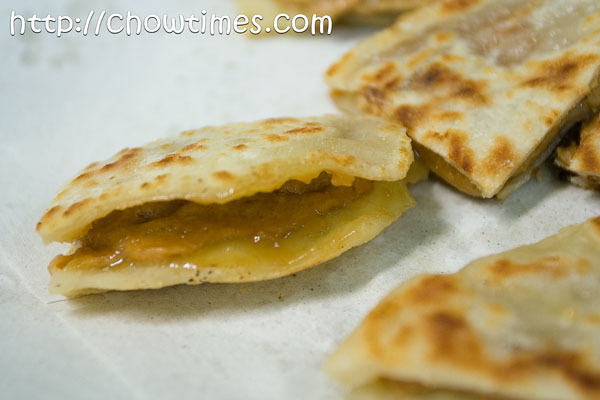 Julie second’s pancake recipe is Pork Floss Pancake which is a savory pancake. I think my boys would love this. 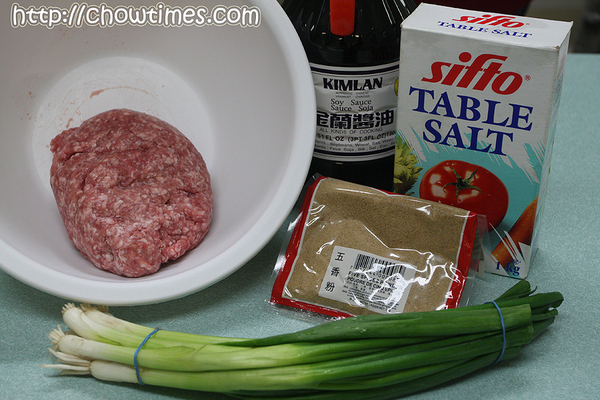 Check out my other pork floss recipe here. 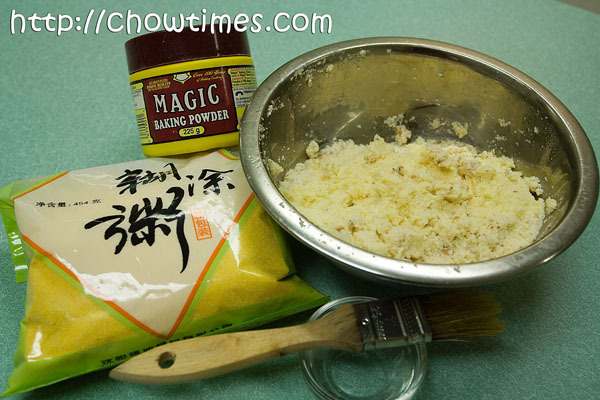 Pork floss is great with porridge and for making sandwiches. My good friend, Polly makes nutella and pork floss sandwiches for her kids’ breakfast or even pack them for school lunches. 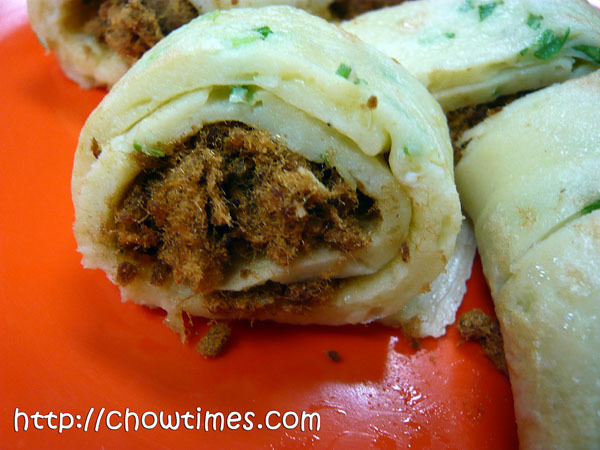 The Pork Floss Pancake is more fragrant as it uses more eggs and has chopped green onions in it. The crispy pork floss complemented the soft pancake well. Julie demonstrated two pancake recipes in the South Arm Community Kitchen. It’s been a while since she last demonstrated in the South Arm Community Kitchen and we missed her cookings. We are glad she is back. 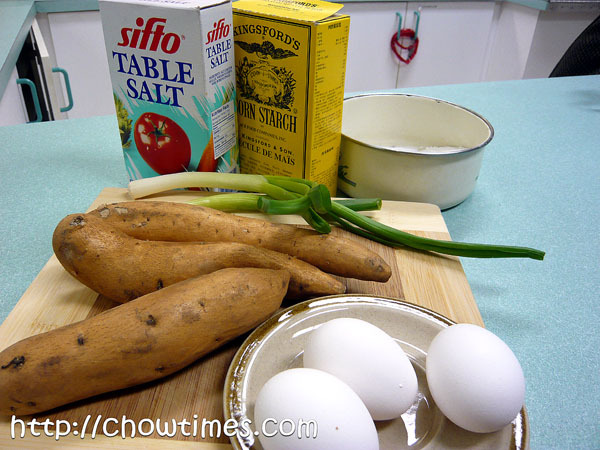 The first recipe, Sweet Potato Pancake is simply my cup of tea. I love sweet dessert and this is a sure winner. 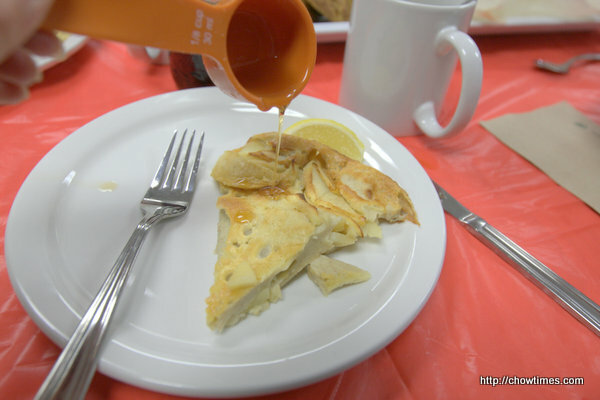 In the South Arm Community Kitchen, Ming shared a very simple Cornmeal Pancake recipe with us. She also make use of okara, the insoluble material left over from making soya milk from soya beans. The Cornmeal Pancake is crusty and filing. It is good for teething toddlers. 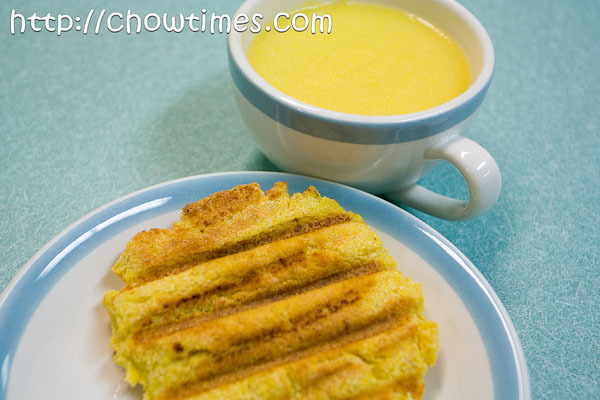 Ming also made some cornmeal porridge with the leftover cornmeal she brought. The porridge can be easily prepared by bringing a pot of water to a boil and add in the cornmeal (amount depend on how thick you want the porridge) and cook for a few minutes until the porridge thicken. Betty made Green Onion Pancake in the Caring Place Community Kitchen. I’m afraid this is only blog with one photo as the rest of the photos did not turn out well. I’ll try my best to illustrate the process without pictures.